High success rate. The American Cancer Society report shows 70% of 5-year survival rate for patients with stomach cancer — 90 out 100 people recover. Doctors use HIPEC (Hyperthermic intraperitoneal chemotherapy), innovative immunotherapy, targeted and combined therapies to treat gastric cancer. Advanced medical equipment. Specialists from the hospitals below use 1.5-3 Tesla MRI, virtual endoscopy to make an accurate diagnosis. Stomach cancer treatment centers use the Da Vinci robotic system to perform a surgery with minimal damage. TrueBeam STx device for radiotherapy accurately affects a tumor saving healthy tissues. Minimally invasive surgeries. Most clinics below apply techniques with minimal injury rate to treat malignant stomach tumor. It helps to reduce pain, avoid scars, and accelerate the recovery. Submit a request on Bookimed website and our medical doctor will answer all the questions regarding your case. We will help you to find the best hospital for stomach cancer! Anadolu cooperates with John Hopkins Hospital, the best medical center in the USA according to U.S. News & World Report. Specialists apply only the latest technologies to treat stomach cancer and other diseases. Anadolu Medical Center is accredited by the Organization of European Cancer Institutes (OECI) for the most effective cancer treatment options. Anadolu doctors apply CyberKnife M6 and TrueBeam Edge. They are the latest radiotherapeutic devices that influence a tumor with 0.5 mm accuracy and do not affect healthy tissues. Anadolu has a certificate from the European Society for Medical Oncology (ESMO) for palliative therapy. Such a treatment reduces symptoms and improves the life quality at 4th stomach cancer stage. The cost of stomach cancer diagnostics at Anadolu Medical Center ranges from $3850 to $4450. The medical center offers stomach cancer treatments from $10200 to $30000. The treatment cost depends on procedures required and condition complexity. The average hospital's ranking 4.5 according to 116 patients reviews. This hospital is typically chosen by patients from Ukraine, Finland and Russian Federation. The travel arrangement takes 3 days. The medical center provides a patient with free airport-clinic transfer, free clinic-airport transfer and translator. Submit a request on Bookimed website and get the stomach cancer treatment cost in Turkey and other countries. Hope and faith work wonders. If you have at least some little hope and opportunity, then you should take advantage of it and not hesitate. And the decision that comes to you, probably the first - the only true. Everything is very high quality, people are really responsive. I want to convey many thanks and words of sincere gratitude to Sofia (coordinator of international patient support), which helped to make this correct for us and the only choice. She showed us all the pros and cons, helped to make this the right decision. In Russia, stomach cancer of the 4th stage was diagnosed with metastases, the operation was refused and offered chemotherapy with a standard set of drugs allowed for our polyclinics. After sitting in the queue all day waiting for a chemotherapist, I saw an incredible hopelessness of everything that was happening: a large queue of patients, indifference and lack of advice from the doctor, no shadow of hope. With this diagnosis, fear is compressed, but with this attitude kills. I want to hope that only I have come across such a reality, God forbid this to others. My relatives searched for alternative treatment abroad, through joint efforts, through acquaintances and the Internet, we came to contact the clinic in Israel "Ichilov". After a telephone conversation with the clinic, the final decision was made to go to Israel for treatment. 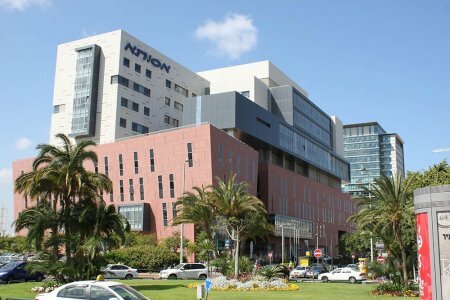 In Israel, many similar medical institutions, but only similar ones, as it turned out later, it was Ichilov who is dealing with complex and problematic oncology issues that others can not cope with. Skeleton of professional doctors is formed by Ichilov, because the clinic has a scientific and practical center, the task of which is to increase the potential for effective treatment. My first impression when meeting with the clinic and its staff is the atmosphere of cordiality and desire to help, no one promises the impossible, a real picture of the problems and a plan for how to act. It makes no sense to speak and compare the service of Russian medical services and foreign, it is not comparable, everything here is envisaged for a person to recover, not to mention the staff and his attitude towards the sick. There are no problems with ignorance of a foreign language, the Russian curator solves all these problems, and a significant part of personnel from Russia or the former Soviet republics. It should be noted that the medical center of Ichilov is a whole city with many buildings of different treatment directions and a corresponding service infrastructure. Returning to the issue of treatment, I want to note one aspect, in my opinion, important, this is the quality of drugs in the course of treatment. Russian medicine can offer at best such (or generics), which does not improve the treatment. Passing treatment in Israel, in the clinic Ichilov, there is hope for the future. Many thanks to all the staff of the clinic. God bless you. I was diagnosed with stomach cancer. Indication - sleeve resection of the stomach (draining gastrectomy). In the Urals, this is done only by the classical operating method. I heard about many complications after such an operation. I started looking for variants in Israel (here we have just legends about the quality of treatment in Israel). I sent questions to 2 leading clinics in Israel: Suraski and the Assuta clinic. The first was the response from Suraski with an invitation for examination and an approximate price of laparoscopic surgery. I flew there. The survey was quick and qualitative. But the most important thing is an operation! They made 5 small incisions (almost invisible) in the abdomen, and through them, they carried out the whole operation and even pulled a remote affected part of the stomach through one of the incisions! It's fantastic! Soon again I am going there for a follow-up checkup. The legend about the medicine of Israel turned out to be pure truth! Sourasky (Ichilov) is ranked among Top 10 hospitals for medical tourism in the world by Newsweek magazine, an authoritative American edition. Sourasky specialists use immunotherapy to treat stomach cancer. Before the treatment, patients have to undergo a test for compatibility to be sure they meet the therapy requirements. Prof. Ido Wolf, the Head of Oncology Department specializes in malignant stomach tumor treatment. Prof. Wolf provides a molecular tests, which increase diagnosis accuracy up to 10-20% and helps to identify the genetic predisposition to malignant gastric cancer. Submit a request on our website to find the best stomach cancer center. The cost of stomach cancer diagnostics at Sourasky Medical Center ranges from $4200 to $4700. The medical center offers stomach cancer treatments from $300 to $27300. The treatment cost depends on procedures required and condition complexity. The average hospital's ranking 4.4 according to 82 patients reviews. This hospital is typically chosen by patients from Russian Federation, Ukraine and Belarus. The travel arrangement takes 2 days. The medical center provides a patient with free airport-clinic transfer, paid clinic-airport transfer and translator. Submit a request on Bookimed website and get the stomach cancer treatment cost in Israel and other countries. Nordwest specialists are co-founders of the University Center for Tumor Diseases (UCT) - one of the leading institutions dealing with cancer patients. The medical center offers stomach cancer treatments from $31700 to $37900. The treatment cost depends on procedures required and condition complexity. The average hospital's ranking 4.4 according to 33 patients reviews. This hospital is typically chosen by patients from Germany, Russian Federation and United States of America. The travel arrangement takes 3 days. The medical center provides a patient with free airport-clinic transfer, free clinic-airport transfer and translator. Submit a request on Bookimed website and get the stomach cancer treatment cost in Germany and other countries. At Quiron, specialists use genetic testing to determine the molecular features of gastric cancer. Dr. Antonio de Lacy Fortuny, a world-class physician with 36 years of experience, specializes in stomach cancer surgery. Dr. de Lacy Fortuny has performed over 15,000 surgeries, over 1,000 of them are minimally invasive (laparoscopic and robotic ones). Dr. de Lacy Fortuny is the 1st to perform transluminal endoscopic surgery (NOTES) during which access is provided to the abdominal cavity through natural openings. This minimally invasive technique helps to avoid external incisions and scars. The medical center offers stomach cancer treatments from $45300 to $47500. The treatment cost depends on procedures required and condition complexity. The average hospital's ranking 5 according to 2 patients reviews. This hospital is typically chosen by patients from Russian Federation. The travel arrangement takes 5 days. The medical center provides a patient with paid airport-clinic transfer, paid clinic-airport transfer and translator. Submit a request on Bookimed website and get the stomach cancer treatment cost in Spain and other countries. Hospitals accreditation. World-class medical facilities have multiple certificates for a high level of medical services. Specialist’s experience. Be sure a chosen doctor specializes in your case and has a huge experience in stomach cancer treatment. Check doctors’ CV on our website. A good specialist has a lot of positive reviews. Success rate. Some medical centers may provide their statistics in patients treatment. Find whether is a success rate in your cases. Medical equipment. All hospitals have advanced medical equipment as the da Vinci Robotic System. Patients’ reviews. Read all reviews of people who have already undergone treatment in a hospital you are interested in. What options are used in the best stomach cancer treatment centers? Endoscopic submucosal dissection. The removal of a tumor located in the mucosa of the stomach. The procedure is performed through small incisions. Gastrectomy. A doctor may perform laparoscopic or open procedure depending on a stomach cancer stage. Gastrectomy can be partial or total one. Such a surgery is indicated when a tumor is located in the upper part of the stomach or when cancer spreads to other organs. Partial gastric resection. Surgery is performed when a gastric tumor is located in the lower part of the stomach. Chemotherapy. 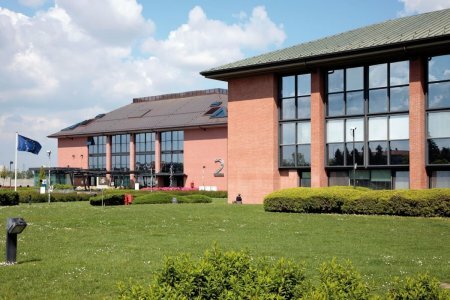 Specialists indicate chemo drugs to reduce a tumor before an operation. Chemotherapy after surgery destroys cancer cells and prevents the relapse. For advanced stages, chemo is used to suppress the symptoms and improve the patient’s quality of life. Radiotherapy. Doctors at stomach cancer treatment centers provide radiotherapy before surgery to reduce the tumor size. After the operation, radiotherapy is carried out to destroy the rest of the malignant cells. HIPEC (“hot chemotherapy”). Such type of chemo is provided for refractory stomach cancer with metastasis in the abdomen. During HIPEC, a doctor uses drugs heated to 42°C. Due to high temperature, chemo penetrates the damaged tissues and destroys more cancer cells than conventional chemotherapy. Immunotherapy. When traditional options do not work, doctors prescribe immunotherapy which boosts the patient’s immunity to kill cancer cells. Such a treatment does not cause severe side effects. Targeted therapy. Such drugs block the growth and dividing of the cancer cells without damaging healthy ones. This therapy is used if diagnostics have shown the genetic mutation of a tumor. What is the success rate after stomach cancer treatment? If a medical oncologist has made an accurate treatment plan, a survival rate after treatment is about 70% (if the disease is detected at early stages). How long does stomach cancer treatment last? What does stomach cancer treatment cost include? Medical centers in Turkey provide the latest diagnostics and treatment methods for stomach cancer. Most hospitals apply CyberKnife M6 for radiosurgery and TrueBeam Edge for radiation therapy. Turkish clinics have numerous certificates from world-class organizations as JCI (Joint Commission International), ESMO (the European Society for Medical Oncology), etc. 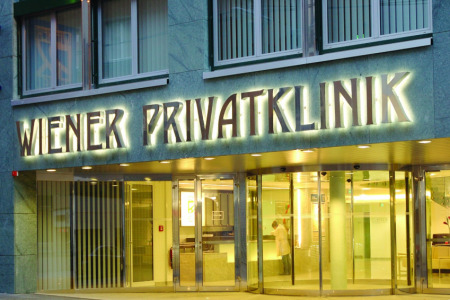 Clinics in Germany are the most technologically advanced in the world. The hospitals apply the latest therapies as immunotherapy and targeted therapy that decrease side effects rate and improve patients’ quality of life. 99% is a success rate of stomach tumors removals according to the hospitals' data. 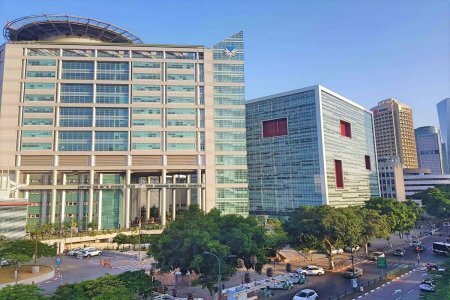 Most Israeli hospitals apply advanced medical equipment as the da Vinci Robotic device to remove stomach cancer through small incisions. It prevents scarring and risk of infections. After such surgeries stomach cancer patients recover faster. Specialists at Israeli clinics provide innovative immunotherapy, which boosts a patient’s immune system to affect cancer cells by itself. Radiotherapy VS chemotherapy: what is more effective for stomach cancer? Medical doctors apply the most appropriate method of treatment according to the results of complex diagnostics. Only your doctor can decide if you need such options. Depending on your case, a medical doctor may prescribe a combination of chemo- and radiation treatments. Should I be treated with immunotherapy? Medical oncologists prescribe immunotherapy if standard treatments do not work. Such a therapy has less severe side effects than traditional chemo. You should undergo some tests to be sure you meet immunotherapy requirements. What is my chance for recovery? It depends on stomach cancer stage and your general health condition. According to the American Cancer Society, 80-90% is a 5-year survival rate for 0-1 stages, 60% — for the 2nd stage, and 20-30% — for 3-4 stages. Is stomach cancer stage 4 curable? Specialists apply palliative treatment to reduce stomach cancer symptoms. It includes chemotherapy and radiation therapy. Is a language assistance available in the hospital? Most hospitals listed below provide an interpreter or coordinator from the International Department who assists you during consultations with a doctor and other medical staff. Have some other questions? Submit a request on Bookimed to get a FREE consultation — our manager will provide you with all necessary info. See below how to arrange a trip to the best treatment center for stomach cancer. How to get stomach cancer treatment with Bookimed? Submit a request on our website. Our medical coordinator will contact you shortly. Ask anything about stomach cancer treatment. Bookimed manager will give you all the details about any hospital: costs, diagnostics, treatment methods, best specialists, etc. If you pick one of the stomach cancer treatment centers, please, send us your medical records. Our manager sends them to a chosen hospital to get all information about your further treatment. After that, you get a direct bill and can pack your luggage for a medical trip. Bookimed manager will support you 24/7 online up till the moment you return home. How much does stomach cancer treatment cost ? Doctors calculate the cost of stomach cancer treatment individually for each patient. The price depends on the disease type, complications (if any), hospital's reputation, and doctor's experience. You may get the final stomach cancer treatment cost only after complete diagnostics and consultation with a doctor. The average cost of stomach cancer diagnostics is $4300. The lowest price is $3850 and the highest — $4700. The average treatment price is $22100. The lowest price is $300 and the highest — $73500. 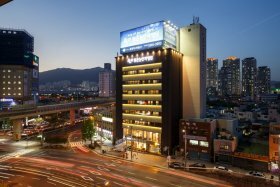 Asklepios Barmbek is No.1 according to Medical Travel Quality Alliance (MTQUA). 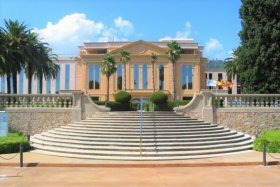 The hospital is the 1st in the world due to high health care service. 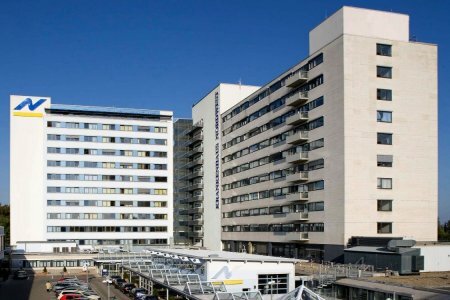 Since 2012, the hospital has been permanently ranked among top German hospitals by the Focus magazine. Asklepios Barmbek is recognized as the “Competence Center for Stomach and Esophagus Surgery” by the German Society for General and Visceral Surgery and Association of the Upper Gastrointestinal Tract. 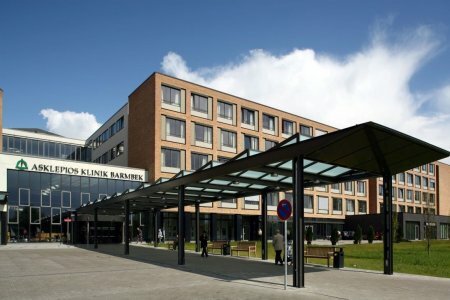 16,000 patients with oncological diseases, including gastric cancer, are treated annually at Asklepios Barmbek. Submit a request on our website to choose the best stomach cancer treatment in the world regarding your case. The medical center offers stomach cancer treatments from $39600 to $51500. The treatment cost depends on procedures required and condition complexity. The average hospital's ranking 4.6 according to 49 patients reviews. This hospital is typically chosen by patients from Norway, Belarus and Ukraine. The travel arrangement takes 6 days. The medical center provides a patient with paid airport-clinic transfer, paid clinic-airport transfer and translator. Submit a request on Bookimed website and get the stomach cancer treatment cost in Germany and other countries. 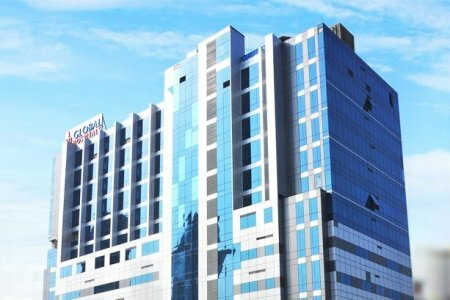 The hospital meets with strict international healthcare standards. Assuta is certified by JCI, a global organization evaluating clinics around the world. About 98% is a diagnostic accuracy for stomach tumors at Assuta. Depending on the severity of the case, doctors apply chemotherapy, radiotherapy, targeted therapy (to damage a tumor without affecting healthy tissues), and HIPEC (heated chemo drugs delivered directly to a tumor with no impact on neighboring organs). Besides traditional surgical methods, specialists conduct minimally invasive surgeries for early stages patients. NanoKnife technique is applied to treat tumors including gastric ones. It’s a device which destroys a tumor directly and has no impact on healthy tissues. Doctor Akiva Hirsch is a leading surgical oncologist with 30 years of experience. Dr. Hirsch provides conventional and laparoscopic surgeries for 1-3 stomach cancer stage. Get a free consultation about stomach cancer treatment in Israel — submit a request on Bookimed. The medical center offers stomach cancer treatments from $12000 to $12700. The treatment cost depends on procedures required and condition complexity. The average hospital's ranking 4.7 according to 28 patients reviews. This hospital is typically chosen by patients from Russian Federation. The travel arrangement takes 2 days. The medical center provides a patient with free airport-clinic transfer, paid clinic-airport transfer and translator. Submit a request on Bookimed website and get the stomach cancer treatment cost in Israel and other countries. The treatment of stomach cancer is carried out by specialists of the Cancer Center together with gastroenterologists, surgeons, radiologists and doctors of other specialties. This complex approach allows to accurately determine the localization of the tumor and to choose the most effective treatment program. Surgical removal of the stomach cancer and gastrectomy in the Liv Clinic is carried out using modern systems of robotic surgery. Chemotherapy drugs are selected individually for each patient, taking into account the features of the disease. Doctors at Bumrungrad apply upper GI endoscopy to see a digestive tract in details using an endoscope — a flexible tube with a camera. It gives a more accurate examination than X-ray studies. 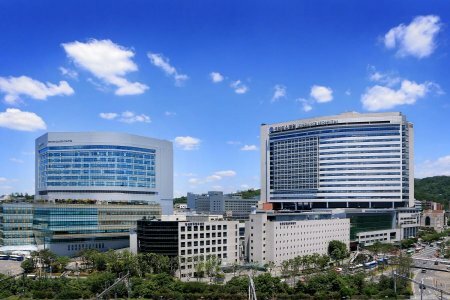 Bumrungrad is the first hospital in Asia using artificial intelligence program as IBM Watson to establish a correct individual treatment plan for stomach cancer patients. The hospital specialists provide immunotherapy, targeted and biological therapies to treat stomach cancer minimizing side effects. Find the best hospital for stomach cancer by submitting a request to Bookimed manager. Stomach cancer treatment is performed at the Teknon Oncology Institute, which is a partner of Memorial Sloan Kettering Cancer Center in New York. Spanish doctors together with American specialists participate in scientific research developments. 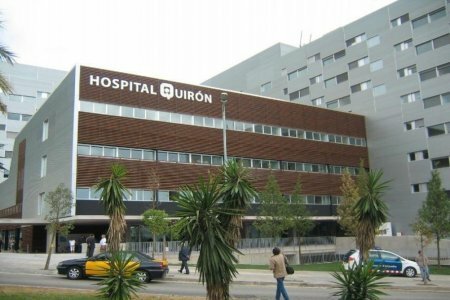 Surgical treatment of stomach cancer is carried out in the Teknon Surgery Department, considered the most prestigious in Spain according to the hospital’s data. The Department consists of 40 top specialists who perform over 4,500 surgical procedures per year. The Oncology Department in St. Zdislava Hospital specializes in the treatment of prostate cancer. Specialized procedure - removal of the prostate with the help of the Da Vinci robot. Every year 200 patients come to St. Zdislava for this procedure. The advantage of prostatectomy on Da Vinci is the preservation of erectile function and urination (in 85% of cases). 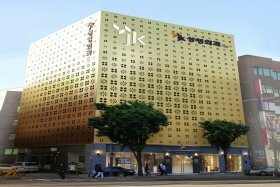 For foreign patients, the Clinic offers a package price. The cost includes medical services, food, accommodation and transfer. At BGS Hospital (Gleneagles Global Hospitals), specialists apply IGRT (image-guided radiation therapy) for stomach cancer patients. Before each session, high-quality images are taken to control a malignant formation state. Such a therapy destroys a tumor and does not have a negative impact on healthy tissues. IMRT (intensity-modulated radiation therapy) is applied with high-dose radiation — due to intensive doses, a patient requires less sessions and recovery goes faster. In the hospital, TrueBeam STx is used for radiotherapy as well. Doctors apply this linear accelerator to remove hard-to-reach and moving stomach tumors. 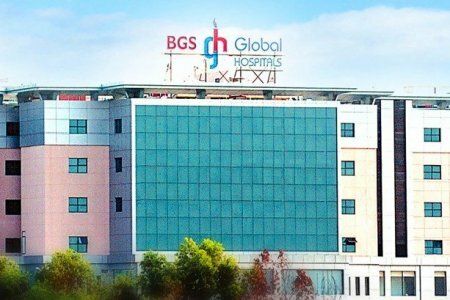 Doctors of Global Gleneagles Hospital provide partial and complete resection of the stomach. Laparoscopic techniques are also applied depending on the patient’s case. The Department specializes in the treatment of cancer and other pathologies of esophagus and stomach. Doctors of the Clinic perform abdominal and laparoscopic operations of the upper departments of gastrointestinal tract. The largest private medical network in Turkey according to the information provided by Medipol. Medipol uses Pyxis Medication Management System to controls the medicines taking automatically. This system excludes any error in medicines taking. Only 4 medical centers in Turkey apply Pyxis. Medipol Oncology Hospital in Istanbul is equipped with the latest technologies. Among them is a highly precise GammaKnife with 99% of accuracy. Over 300 gastrointestinal tract cancer surgeries have been performed. 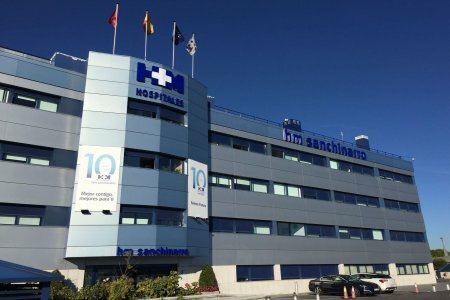 HM Hospitales has the greatest experience in the gastrointestinal tract cancer surgery in Spain according to the hospital’s data. 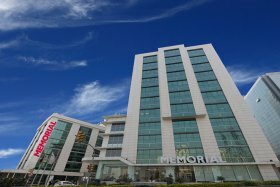 HM Hospitales is considered the top medical group in Madrid according to the hospital’s data. The hospital has a certificate from JCI (Joint Commission International), an organization evaluating world-class medical facilities. Severance specialists use an endoscopic camera, an instrument of diagnosing stomach cancer — a doctor can take a piece of diseased tissue to accurately detect a stage. Doctors of Severance provide a customized treatment made up individually for a concrete patient’s case. At Severance, doctors specialize in radiosurgery. They use robotic surgery to treat stomach. It helps to minimize scarring and pain after a procedure. Every year specialists perform about 1,000 surgeries and 100 laparoscopy operations for stomach cancer at early stages. The procedure is conducted through an incision of about 15 cm to avoid big scars and speed up the recovery. Severance physicians apply endoscopic mucosal resection for an early stage of stomach cancer — it's performed with special tube and camera connected to it for gastric tumor removal. 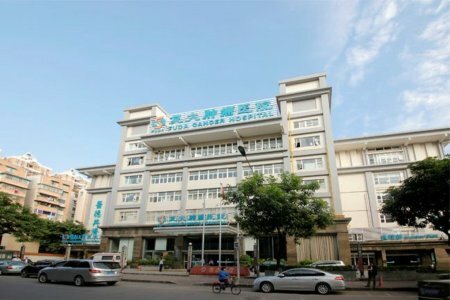 Fuda Hospital is one of the best oncology medical centers in China. It accepts about 36,000 patients from 100 countries all around the world. 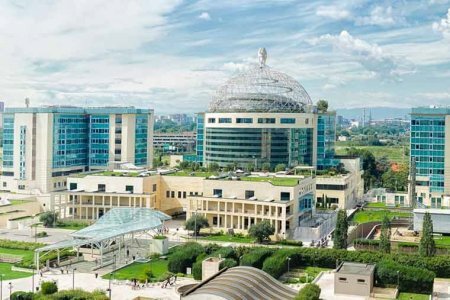 Fuda cooperated with MD Anderson Cancer Center, the best oncological facility according to U.S. News & World Report's annual “Best Hospitals” survey. Specialists apply minimally invasive procedures to treat stomach cancer and other gastric diseases. Specialists at Fuda have performed over 10,000 cryosurgeries —a destruction of cancer cells with intensive cold. This procedure is safe and has mild side effects. In comparison with surgeries, cryosurgery provides less damage and can be used with chemotherapy and radiosurgery to help a patient recover faster. 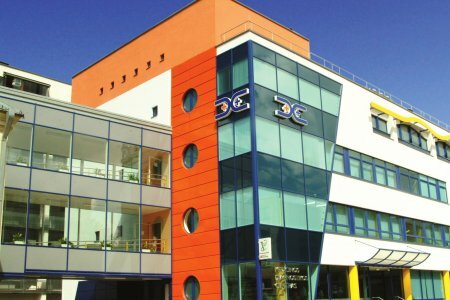 The hospital has the certificates from JCI (Joint Commission International) and OECI (Organization of European Cancer Institutes) as one of the best oncology centers in Europe. European Institute of Oncology physicians use an interventional endoscopy, non-surgical procedure to examine a digestive tract with a camera connected to a tube. It helps physicians to make color detailed images of the intestinal tract. This procedure is safe, provides no scarring and surgeries. Specialists of the medical center provide minimally invasive treatment for stomach cancer patients, as laparoscopic and robotic procedures. European Institute of Oncology develops new minimally invasive techniques and improves traditional ones. Experienced science team develops and tests new molecular drugs for cancer treatment. Doctors provide multidisciplinary approach to every case. Specialists from different departments are involved in the treatment process. How much does a stomach cancer treatment cost?